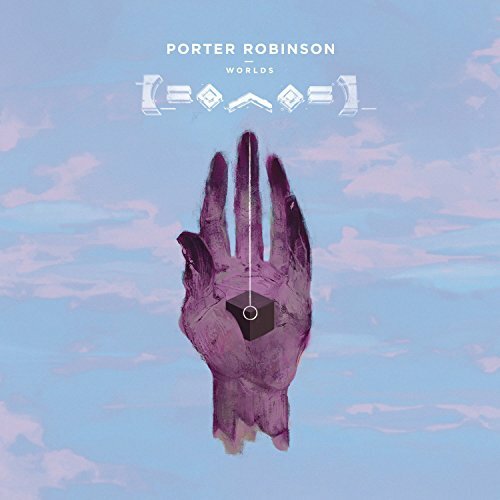 And thus begat Worlds (Astralwerks), a cinematic excursion that commingles Porter's technological prowess with his love of evocative melody. His first studio album, it finds an unlikely common ground for Porter's diverse inspirations: Kanye West's Graduation, Daft Punk's Discovery, The Postal Service, and an array of orchestral movie scores. 'Sea of Voices,' for instance, is just that: gauzy, feather-light vocals that float above an ethereal-shoegaze soundscape. That track trickles into the 'Years of War,' which transfers those levitating vocals onto radiant synth pop propelled by a fuzzy beat. He prolongs that pop euphoria with the anthemic 'Lionhearted,' which pushes-and-pulls between ambient sighs and power chords, further rewarding the listener with the glitched-out 'Fellow Feeling,' an avant centerpiece that swells from violin-driven sentiment to industrial static, before settling into palpitating chords.